Panoramic view of the Old Town Dubrovnik, Croatia. If the tagline ‘Pearl of the Adriatic’ fails to strike a chord, perhaps ‘King’s Landing’ would. 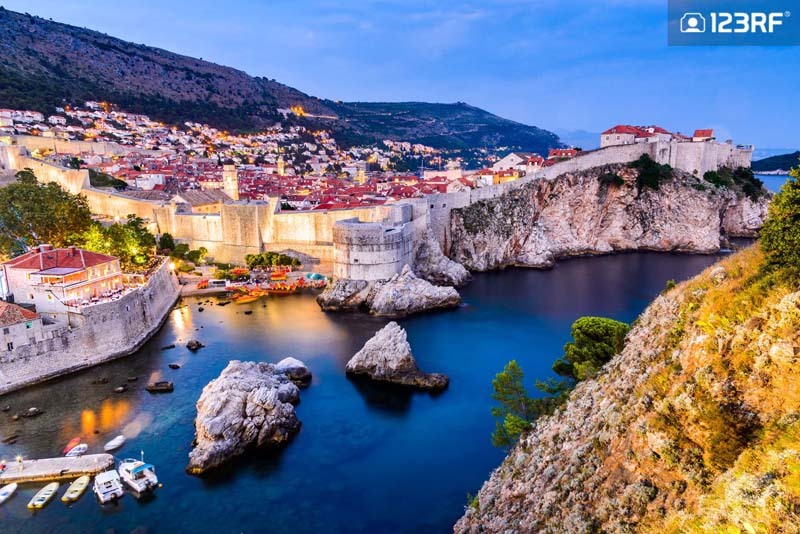 Dubrovnik is no stranger to the world stage, having been the home to some of Game of Thrones most iconic locations. But this picturesque city offers much more. 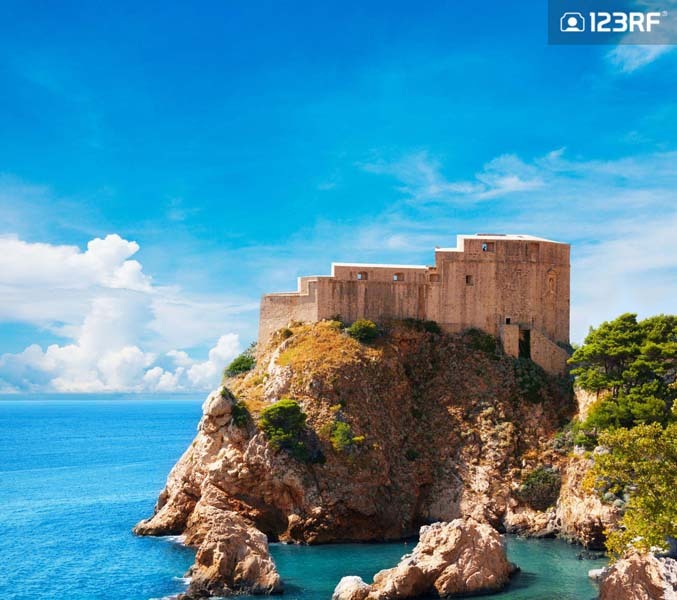 The 69th Dubrovnik Summer Festival which is held on July 10 to August 25, is not to be missed. This festival gives creatives the opportunity to explore the city’s rich cultural heritage, while reliving the tales of their favorite characters. 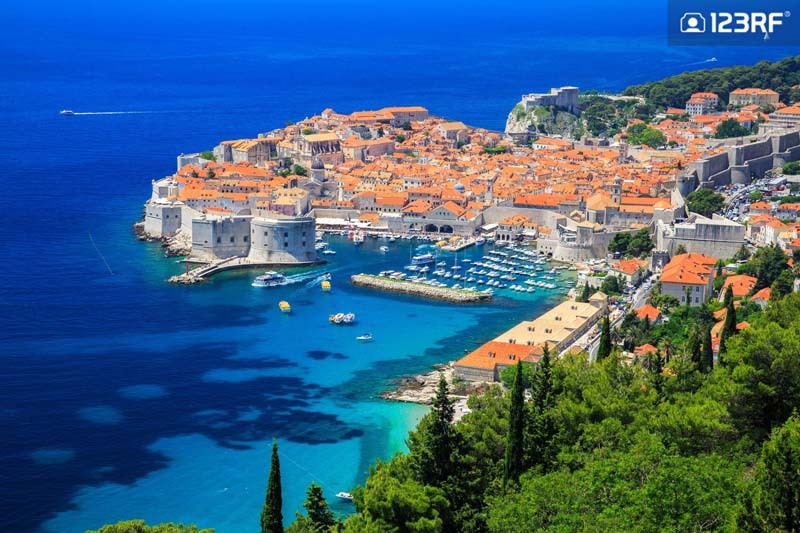 Founded in the 7th century, Dubrovnik has been ruled by Venetians and Hungarians. 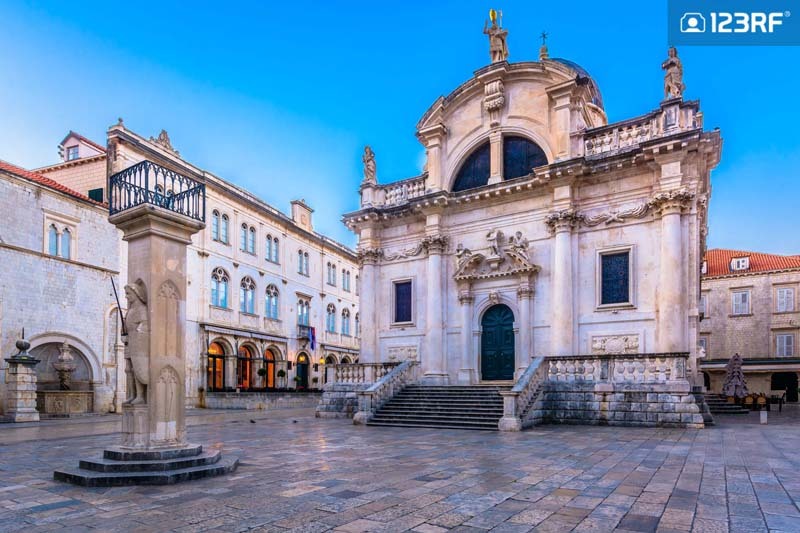 Coupled with breathtaking views of the Dalmatian coast and the exponential growth of the city in the 15th and 16th century, this city was soon recognized as the home of Croatia’s intellectual elite and artistic hub. This renaissance then led to the city being recognized as a UNESCO World Heritage Site. The annual Dubrovnik Summer Festival is a great way to uncover the deep traditions embellished into the city’s fortified walls. This year’s summer festival features an array of performances including theater, dance, music and art exhibitions, held across 20 splendid locations. Premiere plays include Miroslav Krleža’s Michelangelo Buonarroti. Held in Lokrum island, the play explores the relation between art, money and politics. Meanwhile, in collaboration with the Zagreb Academy of Dramatic Arts, Countdown – at a Wedding with Držić and Nalješković, will be held in several locations of the city. This project aims to redefine the idea of site specific theater, which has existed here from the 14th century. Other premier plays includes last year’s multiple winner of the Croatian Theatre Award, Dark Mother Earth. Aerial view of the town’s cityscape, Dubrovnik, Croatia. If you are a fan of grace and elegance, Death and the Dervish, produced by the Ballet of the Croatian National Theatre of Split, was one of 2017’s most intriguing projects. In addition, the Bitef Theatre’s Macbeth, conjures up the modern day dark world of conspiracy, crime, psychological deviations, power-lovers and passion. Next, lend your ears to one of the world’s greatest cellists, Mischa Maisky and the Zagreb Philharmonic, in front of the St Blaise’s Church. Then, get in touch with Croatia’s art scene in the Sponza Palace Atrium with an exhibition of fascinating paintings by Pino Trostmann. Scenic view at St. Blaise Church in Dubrovnik, Croatia. 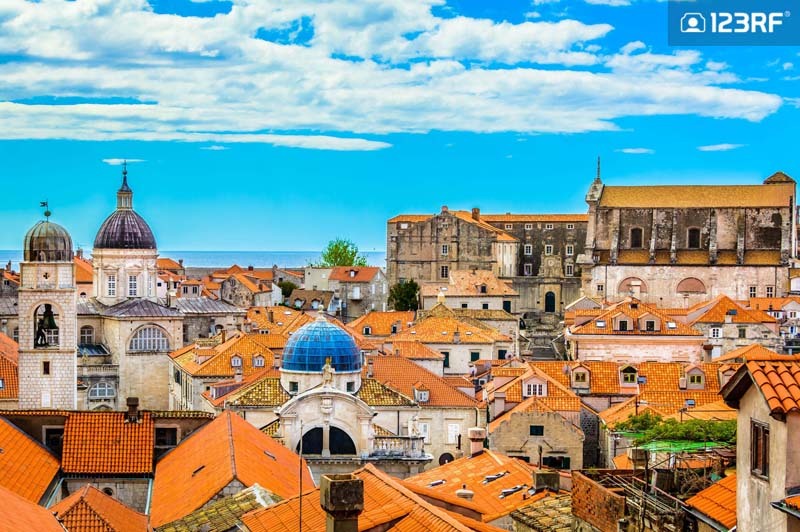 Dubrovnik’s Old Town is famous for its architecture and medieval like vibes. One of the main attractions in the Old Town is the Jesuit Staircase. Better known as the scene for Cersei’s walk of shame, this is also the setting for the Great Sept of Baelor. 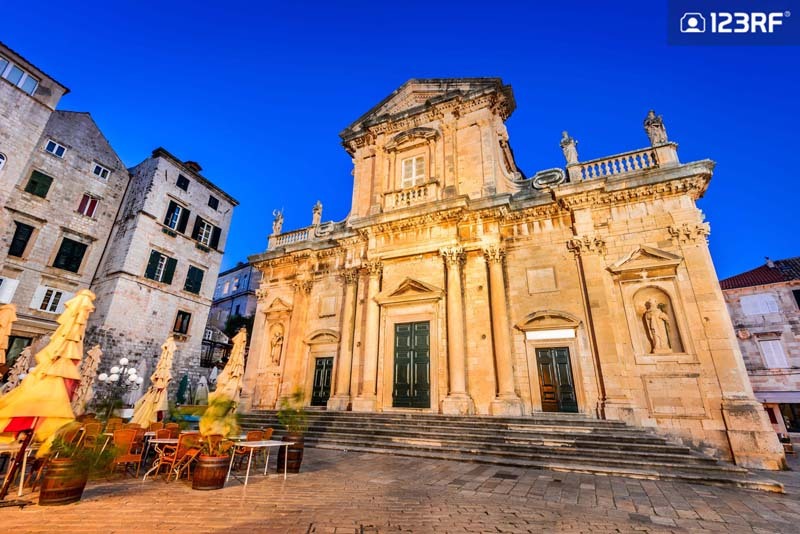 This beautiful and elegant Baroque stairs is located on the south side of Gundulic Square, which leads up to the Jesuit Church of St. Ignatius. Staircase to Jesuit Church in Dubrovnik, Croatia. Pile Gate is an indispensable sight in both the city and the series. 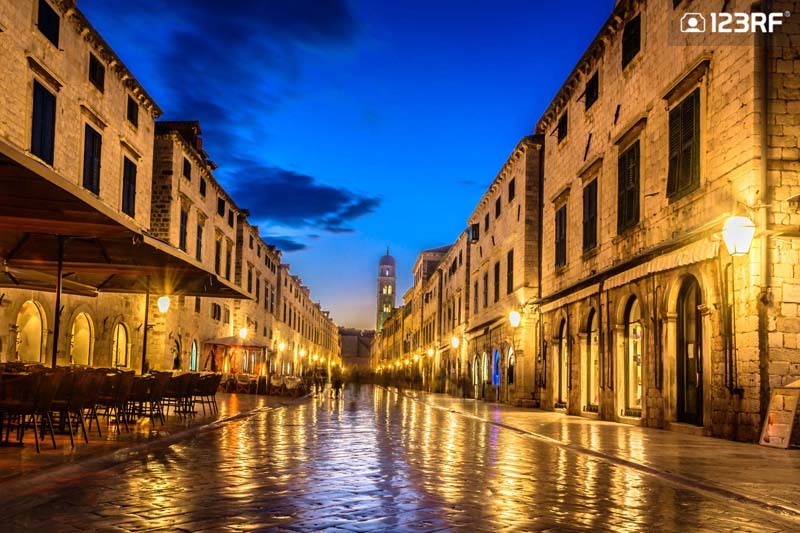 This iconic spot is the main entrance to Dubrovnik’s Old Town. 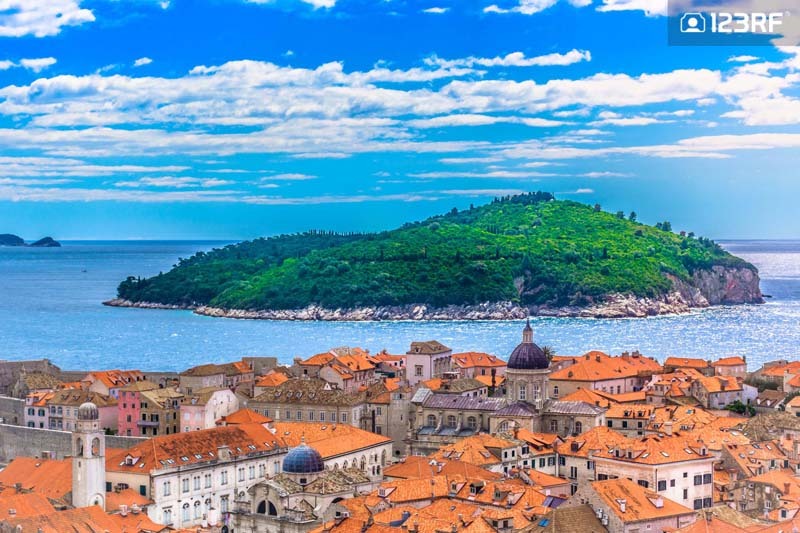 From here, you can also enjoy the views over a nearby small fishing harbor, while reminiscing on the killings of Robert Baratheon’s bastards. The outside of Dubrovnik Pile Gate. A short 15 minute boat ride takes you from the Old Town harbor to Croatia’s gorgeous Lokrum Island. Visited by Daenerys in season two, the island accommodates the great Benedictine Monastery. Here, do take the opportunity for a leisurely stroll amid lush gardens and the ruins of a once luxurious residence. Aerial scenery of Dubrovnik and Lokrum Island. A visit to this historical city is incomplete without a trip to the spectacular Stradun. The Stradun is one of Europe’s most picturesque pedestrian passages. Dotted with cafes and restaurants, this is the best place to take a breather after a long day. Night view in Stradun street, Dubrovnik, Croatia. For a dose of architectural inspiration, the beautiful Dubrovnik Cathedral a.k.a Assumption Cathedral is not to be missed. The Baroque style cathedral was designed by Andrea Buffalini of Rome. The cathedral also homes lavish interior decor. This includes paintings by Italian and Dalmatian artists from the 16th to 18th centuries, and the Virgin of the Chair by Raphael. Assumption Cathedral in Dubrovnik Old Town. 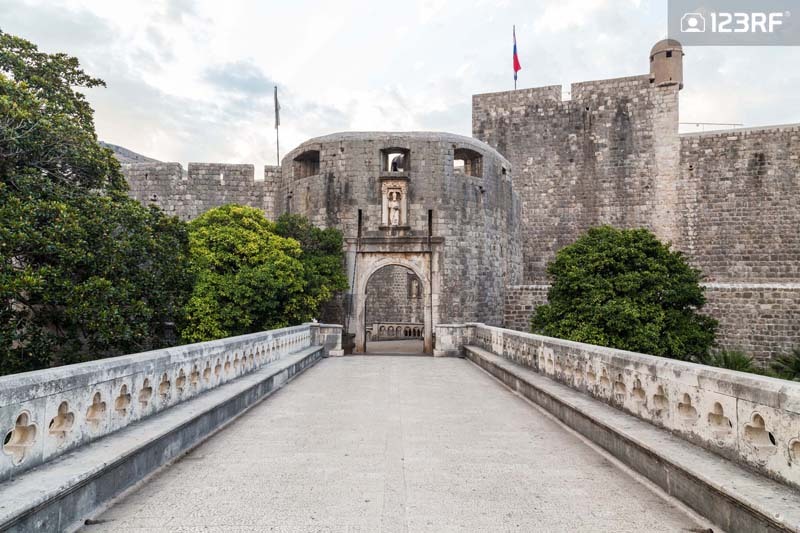 If you are looking to step into Croatia’s past, a trip to Fort Lovrijenac enables you to do just that. One of the most important fortresses proved impregnable during the many sieges undertaken by the Venetians. Rising an impressive 37 meters above the Adriatic, this stunning fortress is also a backdrop for the Summer Festival. Lovrijenac fort in Old Town of Dubrovnik, Croatia. 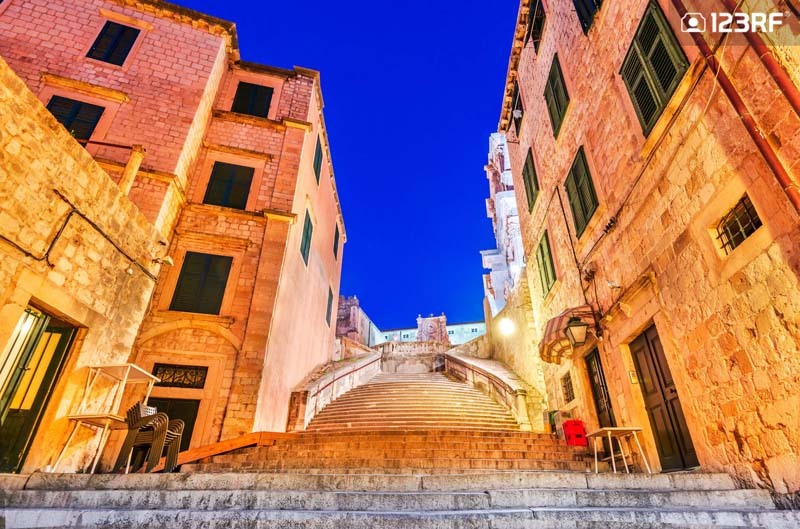 Dubrovnik and Croatia are so much more than a mere setting for HBO’s blockbuster series. Oozing with creative inspiration from every corner, the city is now one of the hottest travel destinations. With the 69th Summer Festival showcasing the best of the city, it is perhaps time to visit Croatia’s crown jewel. Until then, the Lannisters Dubrovnik continues to send its regards. Spectacular twilight picturesque view on the Old Town from the Lovrijenac Fortress, Croatia. For more travel ideas, check out our guide to the 2026 Fifa World Cup. If you are up for some high quality stock content, then find out how you can get your hands our exclusive free downloads!